I just bought Early Access for Synergy 2, downloaded and installed it. Once I start Synergy 2 the app crashes couple of seconds later, preventing any kind of configuration. Starting elevated or not does not make any difference. Running on Windows 10 Pro 1703 x64. I had a similar issue. I wonder if they didn't turn the online account authorization on yet. I just tried again (I didn't change anything) and now it works. Maybe try again. I see. It's working now. However I just realized, that Synergy v2 seems to be 100% completely cloud-based and relies on an internet connection. Yeah, while for the most part it probably won't be a problem for me I kinda want it to have a local mode as well. Maybe they will add that back in. I'd like it to be completely off the cloud or at least have the option. Why do you guys dislike the cloud so much? I don't know what other thinks about, but in my opinion Synergy 2 is a step backwards regarding configuration-ability and stability. Dependence: Because of the dependency of the running cloud services (see several threads here, when the cloud service is offline). If your internet connection gets lost for whatever reasons, or you have any network issues because of a broken switch, you can't continue using Synergy 2 anymore? 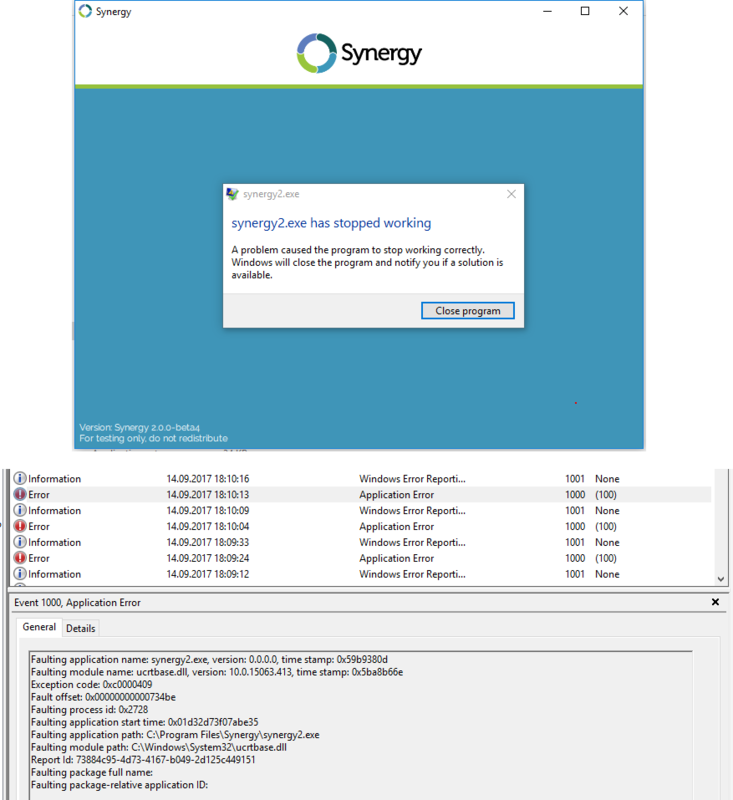 When using Synergy on multiple machines I want to use it anywhere and anytime in every situation (if I have internet access or not). Restricted network: In some IT environments you have more restricted network policies, which are not allowing any outgoing network connection (also found a thread in this forum about this). And just pointing to "use the command line" is a bit unfair, in my opinion. Control/Privacy: Cloud everywhere. Even nearly everyone wants to put everything somewhere into the cloud, I still prefer to have several services on-premise - under my own control. Optional yes, but not being forced to use it the cloud-based way. I agree about the restricted networks. Depending on where I am and what I am doing internet isn't always available and/or if I am running through a VPN it could cause issues. Worth pointing out that the majority of users are likely to be from an IT admin background and fussy about this kind of thing, and cloud dependency. Most of us capable of setting up configuration without needing cloudy pictures to do it. Agree that for end-users-what-lack-an-clue it is nice. My guess is anyone paying for beta access to this particular utility wants it local, configurable and reliable. Dependence: It'll work offline once configured. Restricted network: We sell an enterprise edition for this.